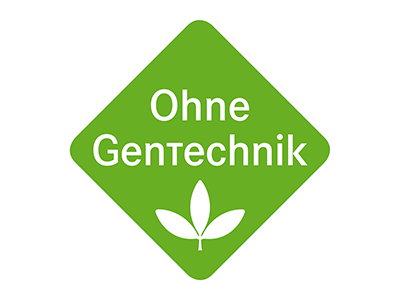 The quality of products is our main priority at EIFRISCH. 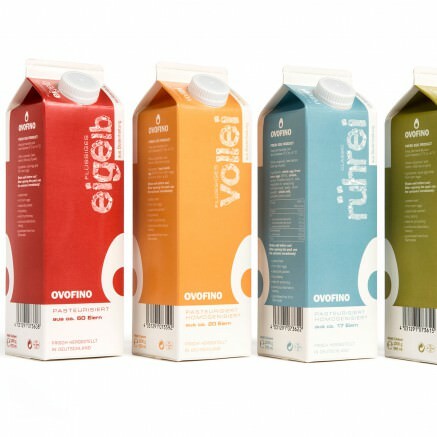 Our products are 100% fresh, monitored and controlled in a certified process based on the latest standards. Our goal is to be able to provide our customers with exquisite, perfect-quality products at all times. 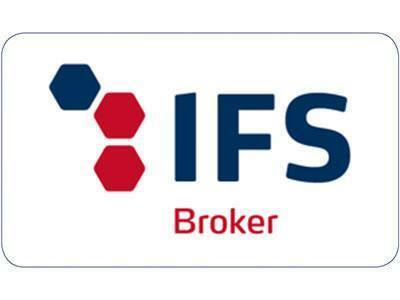 We are proud of our well-established relationships with our partners. 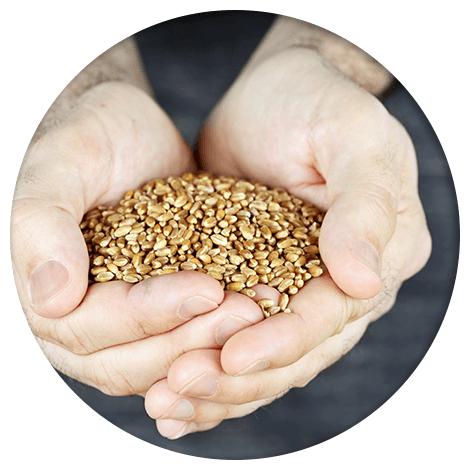 Whether feed mills, hatcheries or laying hen farms: all Eifrisch partners share our passion for quality and most have been working reliably with us for many years. 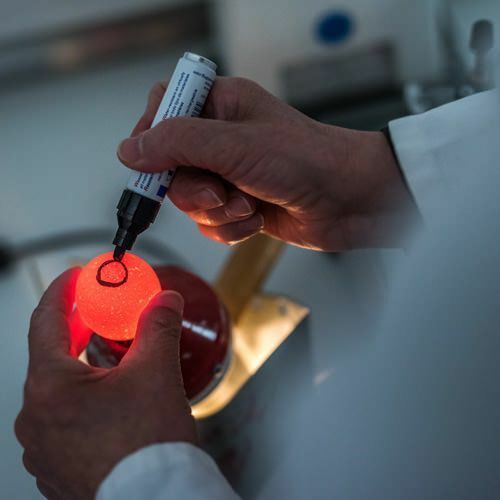 Thanks to continuous exchange and comprehensive quality management we can ensure the quality of our products to today’s exceptionally high standards. 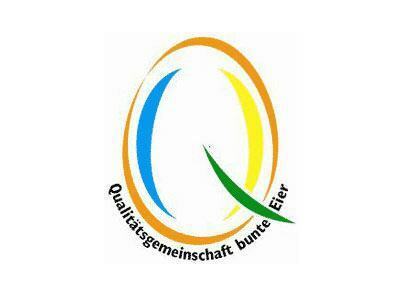 Quality management at EIFRISCH follows the HACCP concept. Potential risks with regards to sensitive foodstuffs are identified in advance and the necessary control procedures installed. Both the individual control mechanisms as well as behaviour in the event of any deviations are defined in detail. 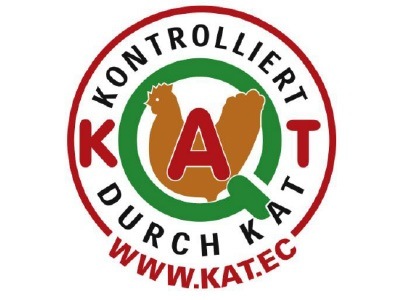 The Eifrisch company has been a member of KAT [Association for controlled alternative types of livestock husbandry] since its beginnings and is a pioneer in this area of alternative husbandry. Our packing centre and dye works have been awarded certificates at the highest level by IFS Food and IFS Broker (International Featured Standards). We have also been awarded certificates such as QBE, VLOG and Bio. Slice or tap – a trivial matter when it comes to enjoyment. 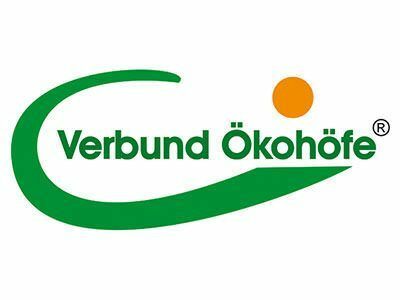 However, the careful analysis of eggs for their quality is no trivial matter upon delivery to the main EIFRISCH packing centre. 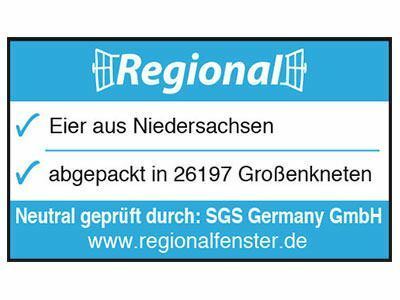 In order to keep travel time down and guarantee the freshest possible eggs, the central EIFRISCH packing centre and affiliated egg-production farms are situated close to each other. Goods are weighed upon delivery and undergo a visual and qualitative incoming goods inspection. 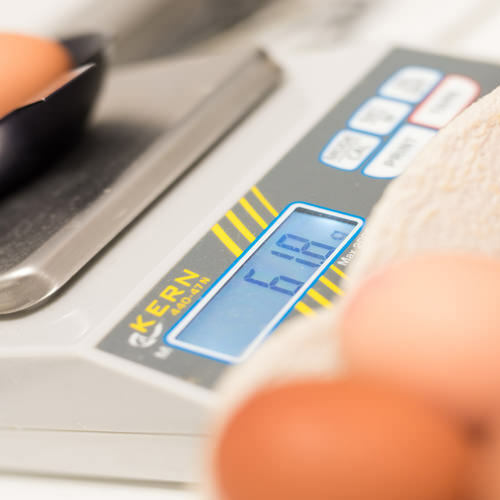 Sample analyses are carried out on each egg-production farm for degree of freshness to ensure flawless delivery at the sorting stage. 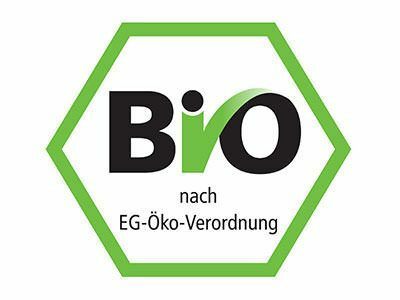 GMO-free feed is produced at our partners’ feed mills. 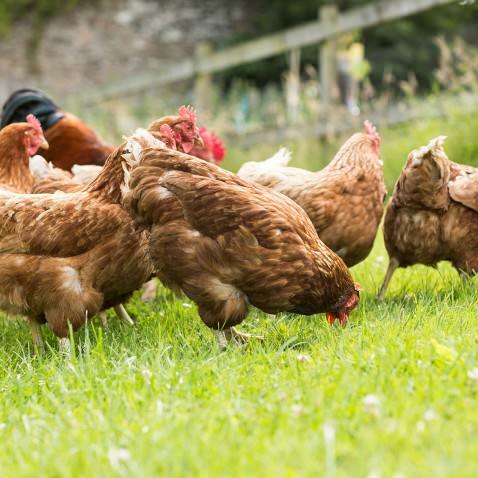 This includes high-quality, nutritious feed recipes, guaranteeing healthy animals and premium quality eggs. The feed is supplied using our own vehicle fleet to parent livestock, breeding and hen farms. 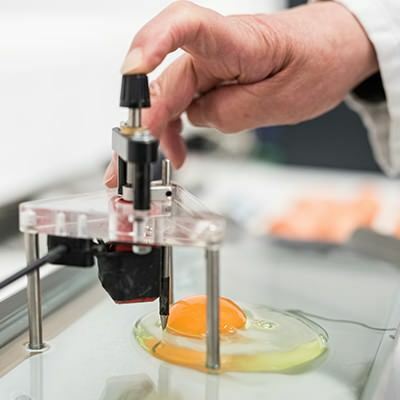 This allows animals at each stage of development to receive the right feed, fulfilling the quality demand for tasty, high-quality eggs with dark-yellow yolks. 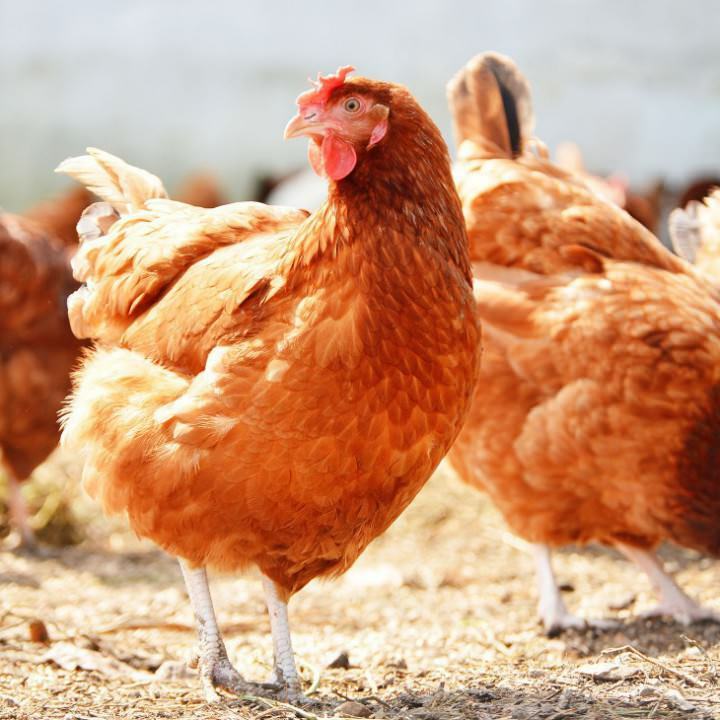 In order to guarantee the best breed of hens, our partners’ parent livestock comes from our own company. Selected animals are a reliable guarantor of healthy, product laying hens. Since parent livestock breeding is so important for egg production, these sites are subject to the strictest hygiene standards. Veterinary teams carry out inspections of the animals’ health at regular intervals. 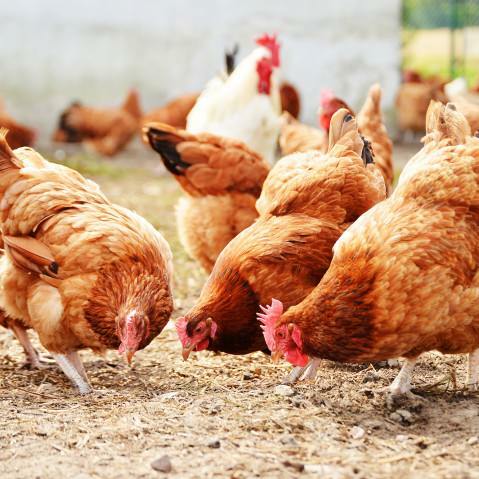 Since parent livestock supply the hatching eggs for breeding laying hens, hygienic and well-controlled parent livestock breeding is an important requirement for healthy laying hens. This also guarantees good, reliable product quality. 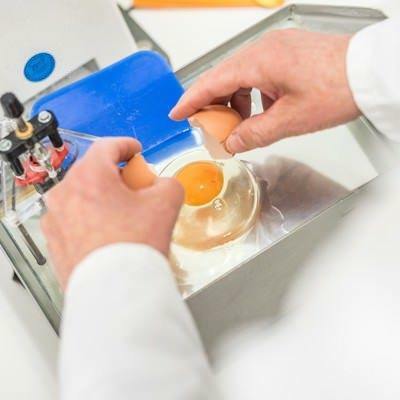 A hygiene programme developed specially by our partner company assists with delicate egg production. 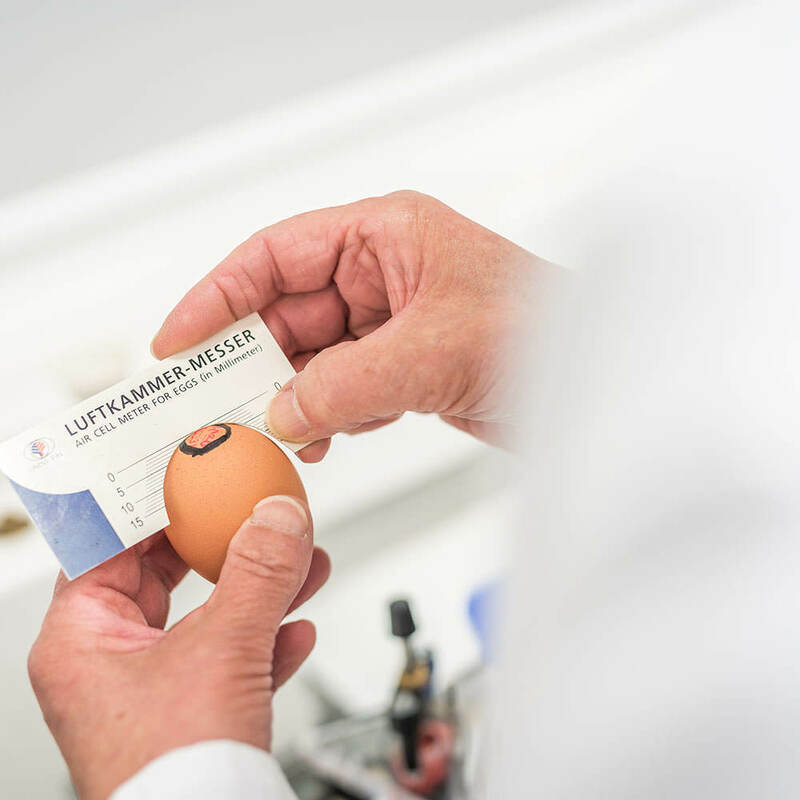 Hatched eggs are monitored based on hygienic and veterinary conditions at our partner company’s modern hatchery. Twice a week, new laying hens are hatched after around a 3 week breeding period and are cared for by a veterinary team specialising in poultry farming. Production processes and hygiene standards are also regularly inspected at this stage by specialists. The breeding farms are situated close to the hen laying farms, minimising the transport route. This positively impacts time management for production and the animals’ wellbeing. Only trained, certified staff are used to move the animals. Special ventilation and cooling systems in the transport vehicles provide pleasant, livestock-friendly transportation. 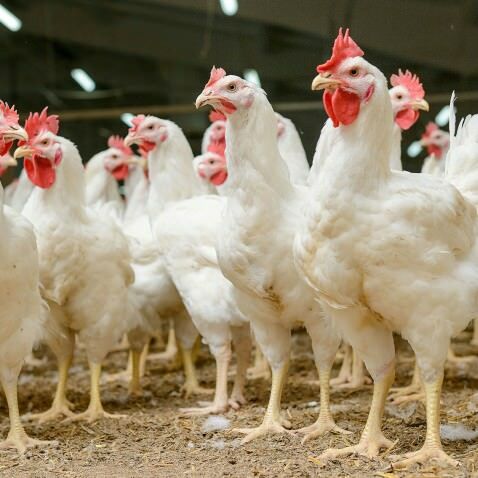 Hen laying farms are environmentally friendly thanks to the latest poultry farming technology and full air-conditioning. 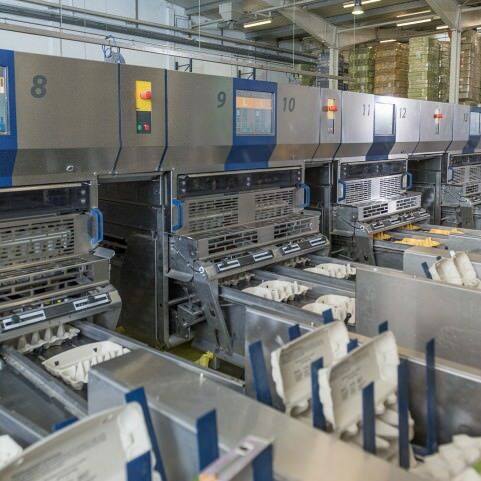 The “inline system” for barn production allows short, fast production channels: Freshly laid eggs are transported via conveyor belts to computer-controlled sorting machines. From there, they are automatically sorted, packaged and loaded based on their weight class. 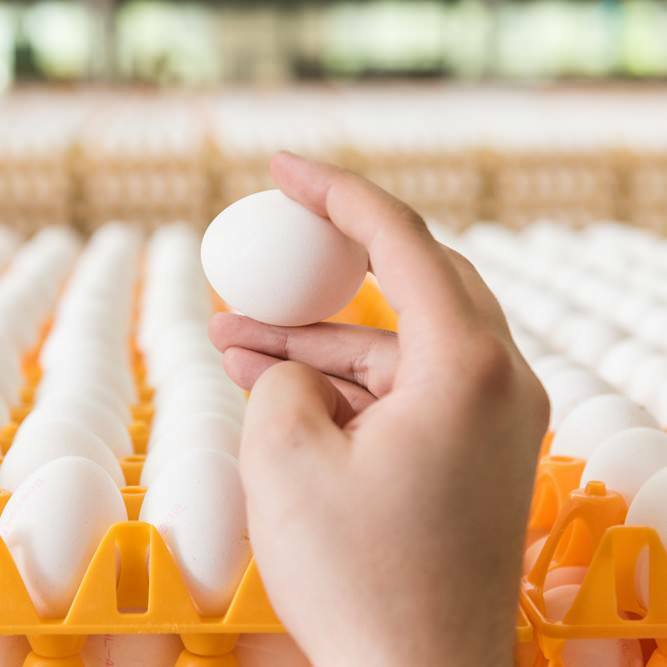 Using our vehicle fleet, raw goods are regularly collected from egg farmers and brought to the Eifrisch packing centre. All egg farmers comply with KAT requirements which conform with EU guidelines. 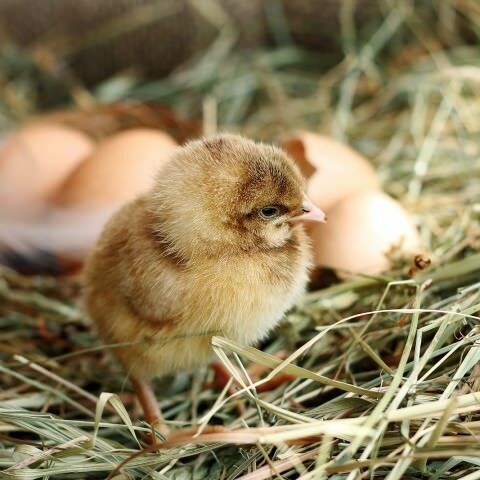 Egg farms are situated close to the main packing centre to guarantee fresh eggs. 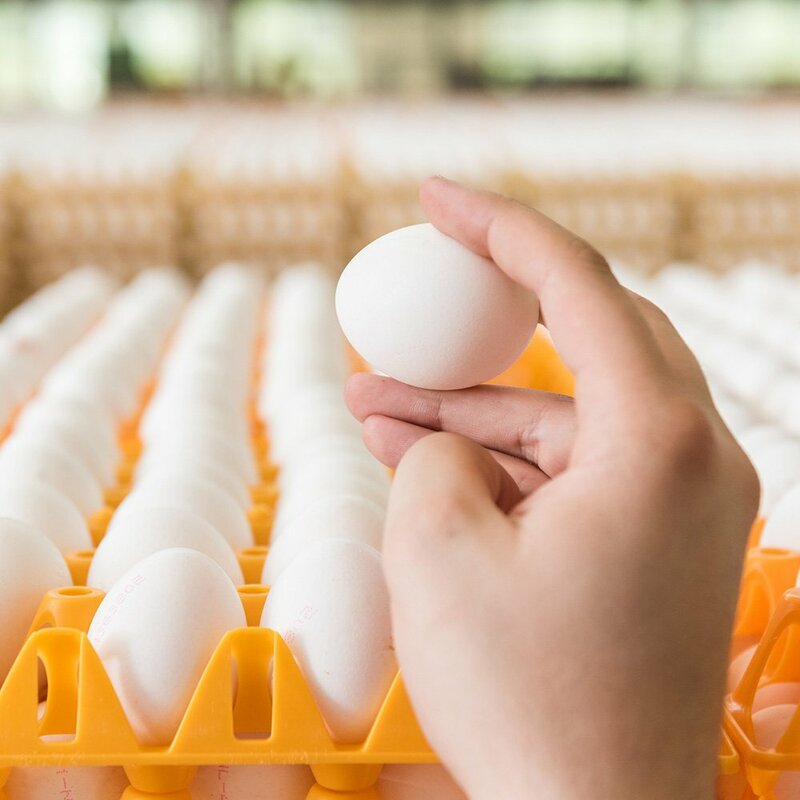 After visual inspection of the raw goods and detailed incoming goods inspection, the modern sensor technology removes any damaged eggs. 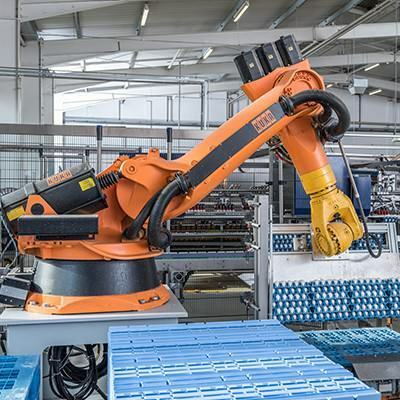 Finally, the end product is automatically separated by weight class and sorted into the corresponding small and standard trays. The eggs receive a colourful coat of paint in our dye works. Before the eggs are painted, however, they are exposed to warm water vapour and a warm water bath. 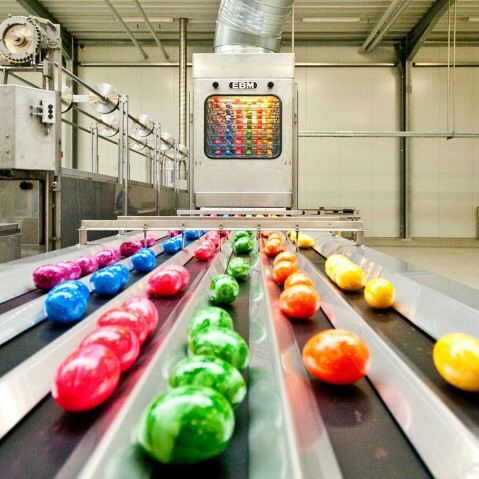 The eggs are then sorted onto belts – each belt has its own colour. Roller dye gives the eggs a marbled appearance. We can also achieve this using an intensive spray process. After colouring, the next stop is the automatic packaging machine. 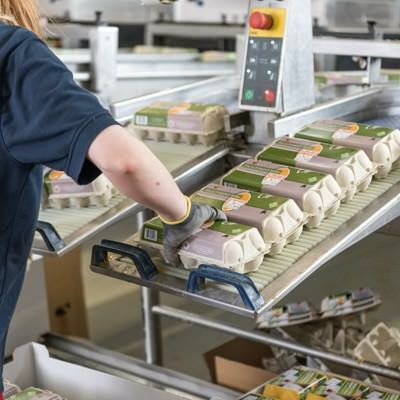 The eggs are packaged up onto our own vehicle fleet and delivered to various regions, partly using our own packaging range. 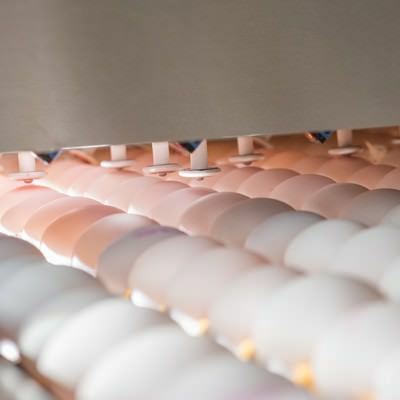 Egg products are a practical alternative to shelled eggs when producing food on an industrial scale. 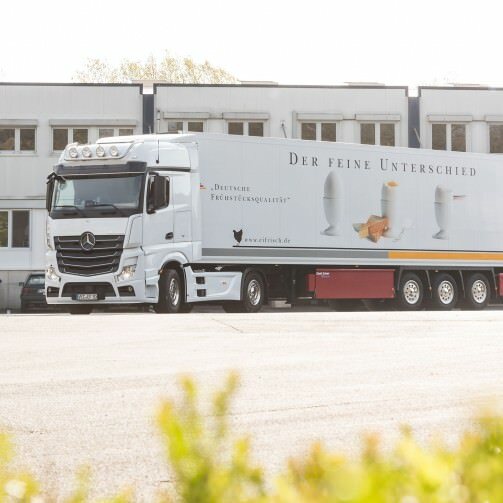 Eifrisch therefore delivers some of its eggs to manufacturers and marketers of egg products.